ThinkSpeak released a Communication Library for Arduino and Particle devices. This makes it easier to write and read data to or from ThingSpeak. The library and more information are available on Github. The Maker Channel on IFTTT is great for homegrown IoT projects large and small. It’s simple to set up and gives makers an easy URL based way to interact with IFTTT. The Maker Channel can act as a trigger and an action, making it quite flexible. Next time I need a simple service for a connected electronics project, I’ll try using this channel. I was excited to hear about the Google Physical Web project last year. Now, they’ve announced that they are using the new Eddystone protocol to transmit information over BLE. Eddystone is cross-platform, and open source, distributed under the Apache v2.0 license. While support is built into Google Play Services’ Nearby API on Android, it also has library support for iOS. The cross-platform and open source nature of this protocol is great, as is the ability to broadcast a URL, something that iBeacon doesn’t do. This comes with some security concerns, but those can be remedied. I’m looking forward to seeing wider and more innovative use of this beacon technology, especially beyond the most obvious retail/marketing channels. Sad news out of London last week. 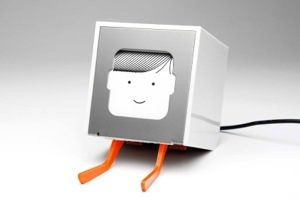 The people that brought us Little Printer are closing up shop. Unfortunately, this means that the infrastructure behind Little Printer (Berg Cloud) will be going away. Berg has committed to keeping the Little Printers running through March of 2015. After that, any Little Printers out in the wild, while still cute, won’t be functional–unless Berg finds a buyer, or open sources the server software. Berg Cloud was promising, and it’s a shame they couldn’t make a go of it. This also serves as a reminder that many IoT devices are only as good as the server that runs them–without it, they can’t connect to anything. It would be wonderful if an open source service bus (sorry for the enterprise lingo) could be maintained so all connected devices need not be locked into a vendor’s server, or have the horsepower to do their own computing. In cities such as New York, energy demand skyrockets as the mercury rises. Each heat wave brings with it warnings to reduce electricity consumption. ConEd’s CoolNYC program is an effort to reduce some of this demand, while keeping customers cool. ConEd customers that sign up for the program receive an internet connected device that controls their air conditioner. The customer can set temperatures and on/off schedules using their computer or mobile device. In extreme demand conditions, ConEd can raise the temperature on these connected thermostats a bit, citywide to reduce the amount of power needed. While CoolNYC targets the six million window air conditioners in the city, customers with central A/C can enroll in a similar program for connected thermostats. As a side note, there’s an interesting op-ed in the NY Times about getting more customers to sign up for energy saving programs. ConEd gives customers free devices and $25 gift cards, which may not be the most effective incentives–according to the op-ed contributor’s research.